You can shop a selection of refurbished Dell desktop PCs for as little as $99. Check out this offer and more in our roundup of the top five Editors' Choice deals we found last night and this morning. Lenovo offer its Lenovo 15.6" Simple Toploader Laptop Bag for $8.99 with free shipping. That's the lowest price we could find by $7. It features a single main compartment with two front compartments. Lenovo offers the Nava x Lenovo Classic 15.6" Laptop Backpack in Black for $19.99 with free shipping. That's the lowest price we could find by $13, although we saw it for $4 less last month. If you wait, you can save more on decorations, high-end electronics, and exercise equipment. December is a busy month for most people, full of gift swaps, parties, and myriad other activities. With so much going on, it can be easy to overspend on all the holiday presents and supplies needed for these festivities. 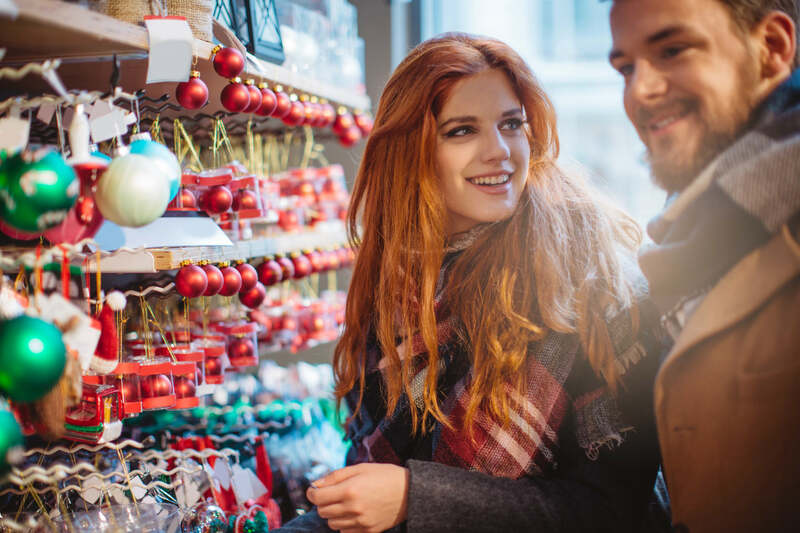 But while December sales might seem to offer notable discounts all around, not everything you see in-store and online will be at its best price. We've rounded up eight items that will be cheaper at the end of the month — or even in January, if you can wait that long. Holiday decor is probably an obvious item to wait on. However, early After Christmas sales can make it tempting to shop right away. Wait until at least December 26, though, and you can score up to 80% off a variety of decorations. Last year, After Christmas sales were a great opportunity to stock up on indoor decor, ornaments, trees, and lights at stores like Amazon, Target, and Home Depot. Every January, lots of New Year's resolutions revolve around being healthier and getting in shape. Gyms and fitness retailers are obviously aware of this trend. As a result, we expect the best workout-related deals of the season to fall around the new year. Last December, we saw 40-lb. weight sets drop to $15, and resistance band sets for $14. We posted more than six times the number of exercise equipment deals in January than we did last December. More notable offers popped up in January. In fact, we posted more than six times the number of exercise equipment deals that month than we did in December. During this time, Amazon cut prices on select items, with prices starting as low as $8. Inflatable exercise balls and resistance loop sets also dropped as low as $7 each. If you'd rather skip the home workout and head to the gym, just make sure it's worth it before you sign that contract. Look for locations offering extra perks, such as no upfront fees and at least one month for free. If they aren't included, try your hand at negotiating, and see if they can be added in. Otherwise, it's probably best to look elsewhere. You can find excellent deals on electronics around Black Friday. However, the Consumer Electronics Show is held in January, and it's when many top vendors announce their latest products. If you skipped shopping for new devices in November, try waiting until after CES to see what companies have planned for next year. New product releases usually mean older models will go on sale. It's important to note that smartphones likely won't be a prominent part of CES, though. Samsung tends to announce its flagships in the spring, and both Apple and Google release their latest handsets in the fall. Holiday commercials would have you believe that there's no better Christmas gift than a brand-new vehicle with a big red bow on the hood. But while you could snap an awesome candid photo of your excited giftee, if you want to impress them with the best price, it's better to wait until after Santa is long gone. According to Autotrader.com, shopping at the end of the month, quarter, or year (or even the end of the day) can yield seriously deep discounts on the previous year's models. If Santa brings you a shiny new console for Christmas, you can stock up on video games for less once the holidays are over. About 42% of the game deals we saw from the day after Santa's visit to the end of month last year earned our Editors' Choice designation. Look for a high percentage of Editors' Choice deals on video games from December 26 to New Year's Eve. While you'll see the biggest discounts on older titles, you can save significantly on newer items, too. In 2017, Microsoft took up to 65% off Xbox One game downloads. Additionally, individual games like the Forza Horizon 3 Expansion Pass for Xbox One dropped to $10, and Final Fantasy XIV: Stormblood for PlayStation 4 dropped to $11. Many After Christmas sales are largely comprised of apparel deals, and last year was no exception. A few of our most popular sales were from Ugg Closet and Columbia, both of which took up to 60% off, along with a 6pm sale that cut prices to $20.18. Men's Wearhouse had popular deals, as well, as it dropped sweaters to as low as $10. Plus, New York & Company offered the chance for shoppers to buy one clearance item and receive three more for free. The Victoria's Secret semi-annual sale should also be kicking off at the end of December. So if you can hold out, it's a great time to replenish your closet in a number of ways. Once again, we're expecting notable headphone deals to pop up the week after Christmas. Last year, nearly a quarter of the headphone deals we saw from December 26 to New Year's Eve were Editors' Choice-worthy. The higher-end models shouldn't see deep discounts, but we do expect deals on brands like Beyerdynamic, Razer, and JBL. Panasonic, Sony, and Klipsch will likely see price drops, too. Theater geeks on your gift list are always happy to receive show tickets. But as awesome a Christmas gift as they'd make, you can find an even better deal if you wait until January. That's when Broadway Week makes its return, bringing with it amazing deals on tickets. Sales are slated to start on January 9 and include 2-for-1 offers. If you must have something for your musical-loving giftee to open during the holiday season, opt for a gift card instead. (Just be sure to tip them off to Broadway Week, so they won't spend it right away.) It's the perfect way to ensure your dollar goes further, and who knows? Maybe they'll invite you along for that 2-for-1 deal. Readers, what items do you wait to buy until after Christmas? Let us know in the comments below! Julie joined DealNews in 2015. Her work has been featured on MSN, Business Insider, Lifehacker, The Motley Fool, GoBankingRates, and Moneyish. In her spare time, she enjoys baking sweets, reading thrillers, and listening to an ever-growing list of podcasts. I can see how that might be confusing. Hopefully this clears it up: Our advice in this piece pertains to the natural pricing cycles that exist for discounts and sales on specifically previous-generation models. So our advice pertains to 2018 models. If you're on the hunt for any car though, usually you'll get a better price at the end of the month, quarter, or year. So in this case, we would recommend buying a car during the last week of 2018; you'll have more negotiating power and you'll likely secure a steeper discount. Our other article is in regards to the starting price on 2019 car models; those are and will be higher due to tariffs. However, you can still try to get a discount on those cars too if you buy at the end of the month, quarter, or year. Just overall, the average price for a 2019 model will probably be higher than a 2018 model. I love your articles but am confused. In your other article talking about things which will see price increases next year, you wrote that you expect car prices to rise in 2019. According to this article you should wait until 2019 to buy a car. Which one takes effect, should I buy a car now or in 2019? Yeah but if I buy a car now, according to the commercials, my life will be come perfect and I will have a super model wife...well according to Lexus and Mercedes.